In addition to his role as “Ambassador-at-Large” for Australian flag carrier Qantas, John Travolta now owns another title. 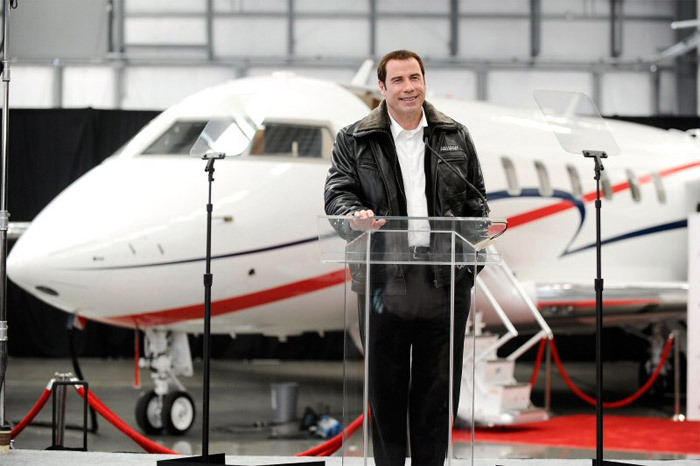 Today he joined Bombardier as brand ambassador for its Learjet, Challenger and Global jets. Travolta has received two aviation awards – the American Institute of Aeronautics Foundation Award for Excellence in 2003, and the Living Legends Ambassador of Aviation award in 2007. He currently holds 11 pilots licenses for both commercial and business jets.